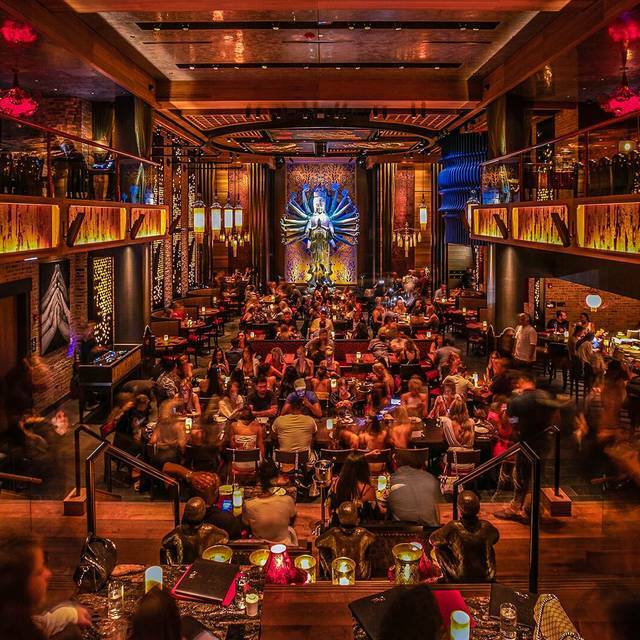 You must make reservations at least 5 minutes in advance of the time at Tao Chicago. Last dinner reservations at 10:45pm (Sun - Thurs) and 11:45pm (Fri - Sat). Restaurant Bar remains open at least one hour after the kitchen closes. The Red line is the closest L line to TAO. Exit at Grand Avenue and N. State Street. 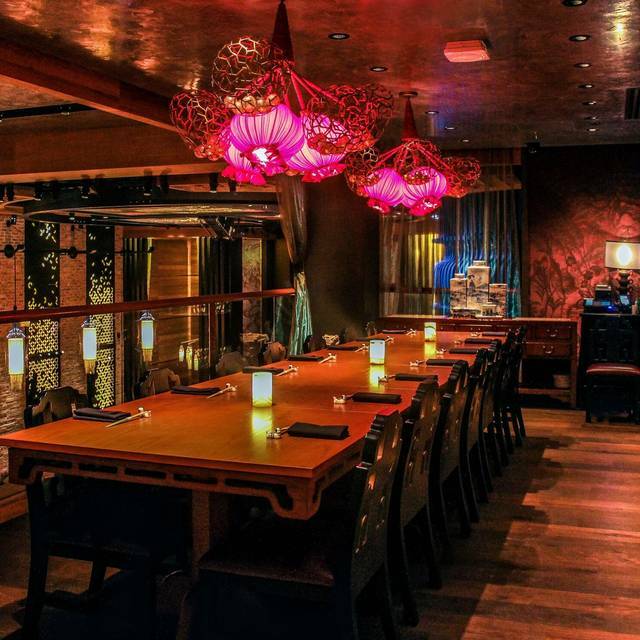 TAO Chicago has a number of options available for private parties for groups of 10 to 1,000 +. Please reach out to our sales team for more information or submit an inquiry at taochciago.com. 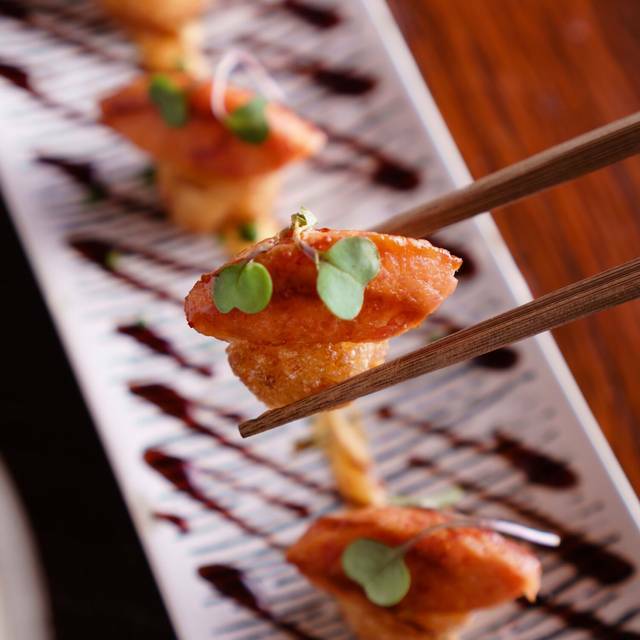 TAO Chicago offers its guests a sensual trip through the cuisines of Asia. 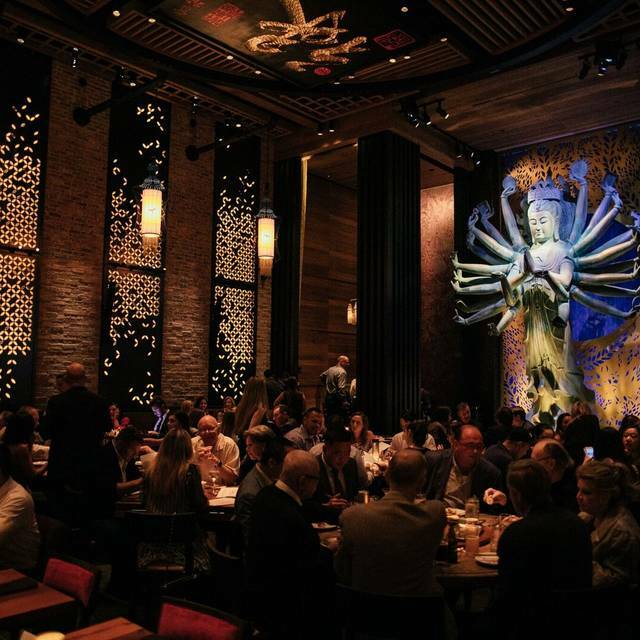 The design-driven restaurant and adjoining nightclub is inspired by the original TAO locations in New York City, Las Vegas and Los Angeles. 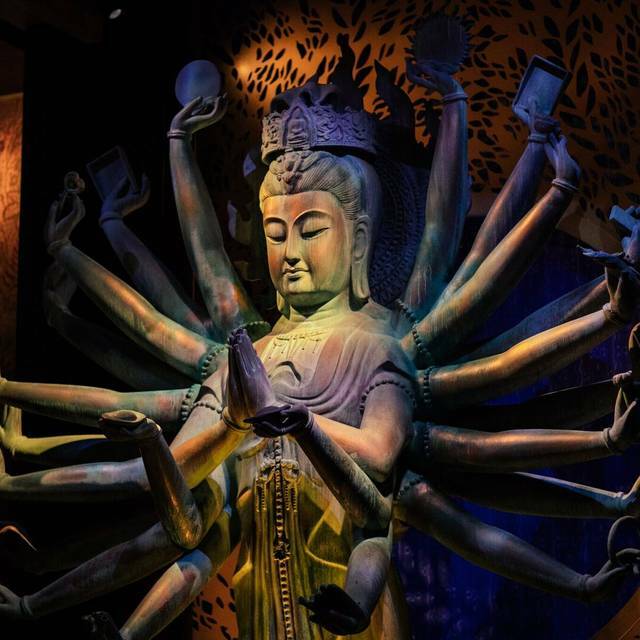 TAO Chicago features multiple levels, creating dynamic spaces within the historic building’s shell, while adding TAO’s Asian-influenced DNA to the restaurant, lounge and nightclub including murals by artist Hush and TAO’s signature 16-foot-tall Quan Yin statue anchoring one end of the dining room. 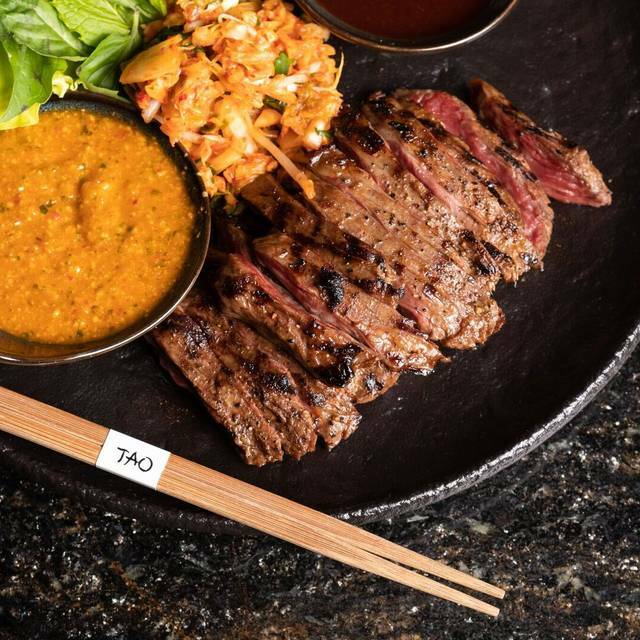 TAO Chicago’s restaurant menu, created by TAO Group Partner and Chef Ralph Scamardella and Executive Chef Michael Armstrong, is complete with great Pan-Asian offerings from the sea, sky and land including signature dishes like Satay of Chilean Sea Bass, Crispy Rice Tuna and a Wagyu Rib-Eye Teppanyaki. Enjoy drink specials in our Bar and Lounge areas Sunday-Wednesday between 5:00pm and 6:00pm. 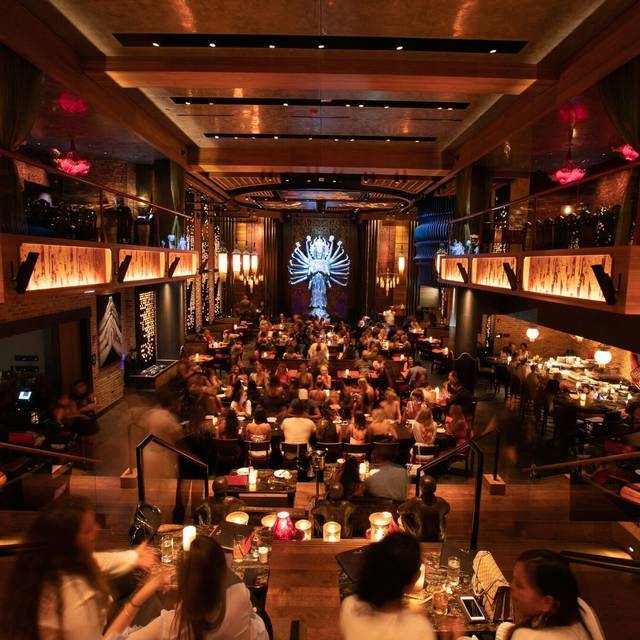 Celebrate Mother’s Day at TAO Chicago! We will be offering our full menu as well as a selection of Mother’s Day Specials. We are opening our doors at 1:00pm! The table location was uncomfortable. We were sat right next to another couple of business men who were speaking inappropriately in front of my girlfriend, on her birthday. Our server was also being shadowed by a trainee which was very annoying during a busy diner our and resulted in us pouring our own wine and finishing with waiting for a to go desert order for almost 25 minutes. We’ve place d a few delivery orders in the past and will most likely stick to that from now on. There are plenty of other places in this city where service, food & ambience are excellent, every time. Wow, wonderful atmosphere, great decor. The noise level was a bit too high for my liking. The food was average but priced for excellence. Service was very good. We much preferred the food in NYC and Las Vegas locations. Great place for a dinner date. Great Time!! It was EVERYTHING!!! Great service. Great ambiance. 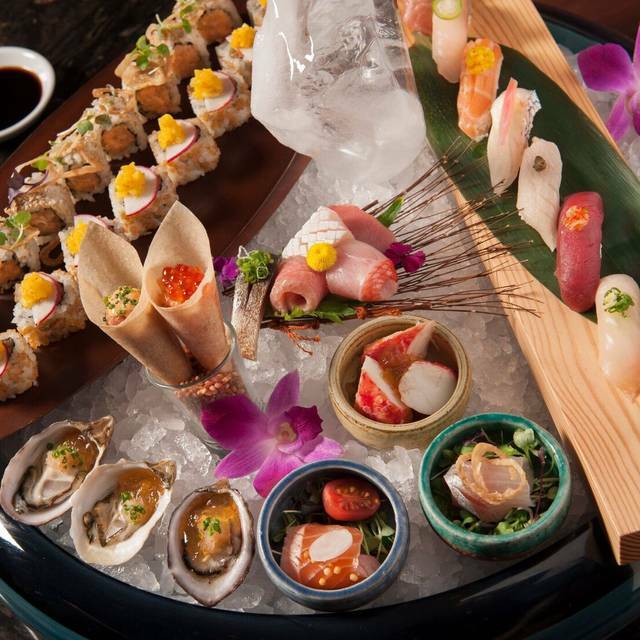 Great sushi and appetizers. But don’t pay $90 for that damn waygu ribeye. Disappointment of the night. Service was excellent. Food was delicious! Sadly we had a reserVAtion at 8pm & we’re boat seated unfailing 10:15. We were not compensated anything nor was anyone apologetic. Had to wait 25 minutes for our table. Too long. I have to honor our reservation within 10 minutes; the restaurant should be held to the same standard. Tables were too close together. My pregnant wife had some difficult time to get out between tables. The overview experience was great though. We dined at 530 with two infants to celebrate with the family, the staff was super gracious and accommodating. And didn’t ever get annoyed. We loved all the dishes, esp the black pepper chili chicken and the green rice. Was a great experience of food and family fun! This place was EVERYTHING !!! Good food and good service (as long as you are not stuck in a corner), but very noisy (energetic??) and a bit pricey. Definitely a place you should try for yourself to see if it fits your style. Food was very ok. Loved the ambiance. Had a great girls night. Service was very knowledgeable but was a little slow. We could have had more drinks but they came so few and very far between courses. 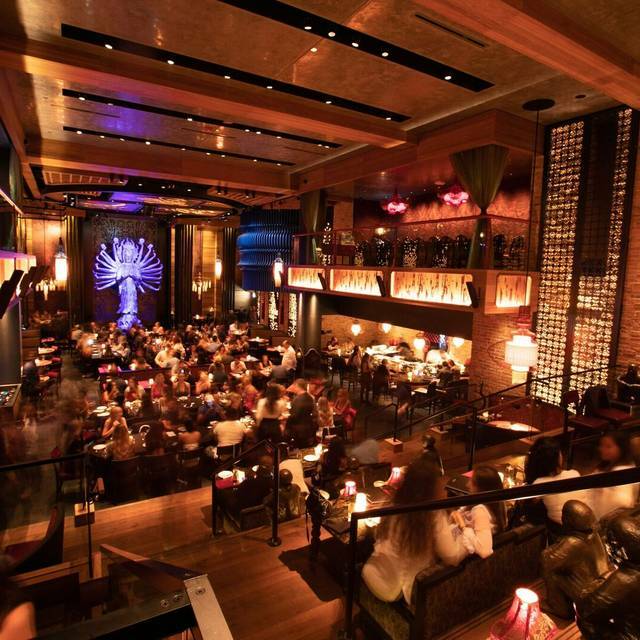 The atmosphere at Tao was amazing, the service was great, the food underwelming. We had the lobster pad Thai and the spring roles, both fishes lacked flavor. We loved the restaurant itself. The server was pleasant, but pretty busy. They brought someone else’s food twice to us. Than we got our order messed up a bit. No buggy, they promptly resolved it but for a restaurant with rices like that it’s not acceptable. The food was good but not spectacular. Again, you’re paying for ambiance not so much for the quality of food. Only for atmosphere! Food quality is poor! My Chef partner and I know “chef driven” food compared to mass production Sysco. We were a party of six waitress had to constantly be reminded that she forgot our drinks. She even forgot to place an order for my friends entré. Your wine selection is horrible and they are cheap wines. If I’m going out for a pricey dinner would be nice to pair it with a good wine. I came here to celebrate my 22nd birthday with a few of my friends and I made the best decision by celebrating it at Tao! Our servers name was Edward and he was so nice and funny. The food was amazing and so was the service. We will definitly be coming back! I am really glad we selected Tao for my birthday dinner. I enjoy dinning at restaurants that consider all aspects of dinning: food, ambiance, service...After being seated and seeing the volume of dinners in the main dinning area, my expectations in terms of food diminished. I thought that there was no way a restaurant could handle so many dinners while keeping the food yummy. I was wrong. The lobster spring rolls were hot and fresh. Bao buns were soft and luscious, and the crispy duck was done perfectly. The only thing that left me a little disappointed was that we mentioned it was my birthday but we didn't get any celebratory desserts. Not a big deal, just something that would have made the night extra special. Overall, loved it and look forward to coming again with friends. Great service, food and experience. Would recommend it and return for sure. Great food! Kind of pricey but won’t be disappointed in the quality of food. The food and drinks are spectacular. The atmosphere is trendy and beautiful. A perfect date night! For a upper class place the front door customer sevice sucked ! I loved the atmosphere! The olive fried rice was soo good! Great place to eat. Eddie was the greatest server! Dinner was amazing! Sea Bass, Crunchy Tuna Roll, Dim Sum, Crispy Bao Buns, Waygu Teppanyaki, Red Snapper, OMG gorged ourselves (2 people) - best dinner I’ve ever had! Can’t wait to do it all again! Definitely not worth it. Service was terrible, and food was ok.
Alexis was our server and she was excellent. It was a fantastic spot to celebrate my birthday. Great experience and beautiful views! From out of town and always excited to visit TAO restaurants whenever we visit different cities. Great experience, and very sophisticated atmosphere. It was husband's birthday celebration. I called and informed that I wish to have something special prepared for him. When we checked in I also reminded the staff it's his birthday. Lady who walked us down to the table ALSO was informed it's his birthday. She even confirmed they know about the celebration and the waitress will take care of it. Nothing! After our $300 dinner was done, she handed me the check. VERY DISAPPOINTED. Great atmosphere and great food. Loved it- will definitely be back!